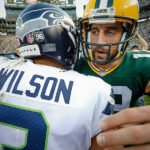 After a terrible start to the game and digging themselves in to 21-3 hole by midway through the second quarter, the Green Bay Packers were able to pull out a 31-24 win over the New York Jets at Lambeau Field in Green Bay, Wisconsin on Sunday September 14, 2014. Packers wide receiver Jordy Nelson had a career day with 208 yards and one touchdown, capped with an 80 yard catch and run. 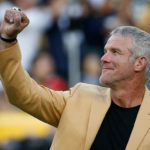 Here are some of my favorite photos to tell the story of the game. Green Bay Packers wide receiver Jordy Nelson pulls a pass in as New York Jets cornerback Darrin Walls defends. 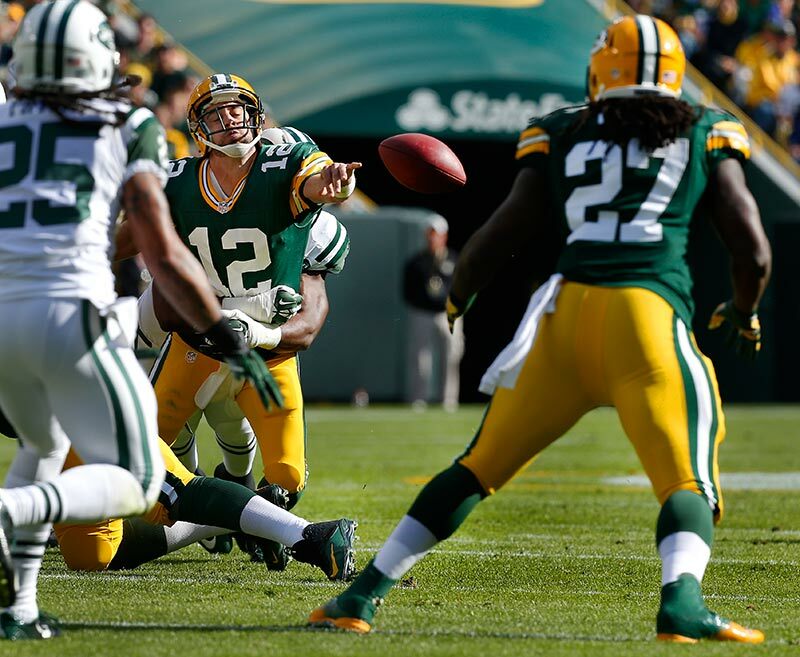 Green Bay Packers quarterback Aaron Rodgers throws a shuttle pass to running back Eddie Lacy. 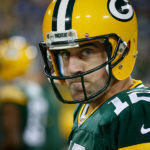 Green Bay Packers wide receiver Jordy Nelson pulls in a pass from quarterback Aaron Rodgers. 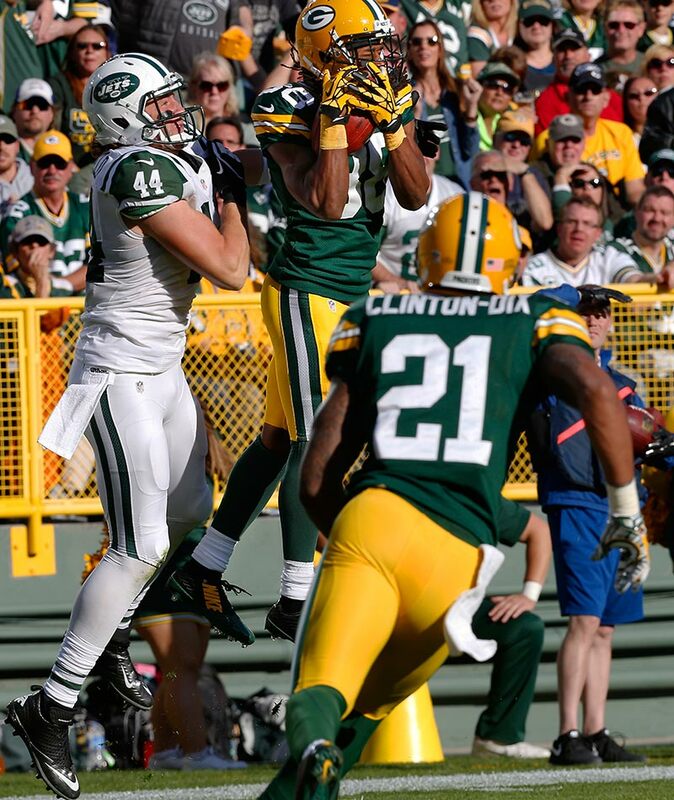 Green Bay Packers cornerback Tramon Williams pulls in an interception from New York Jets tight end Zach Sudfeld. 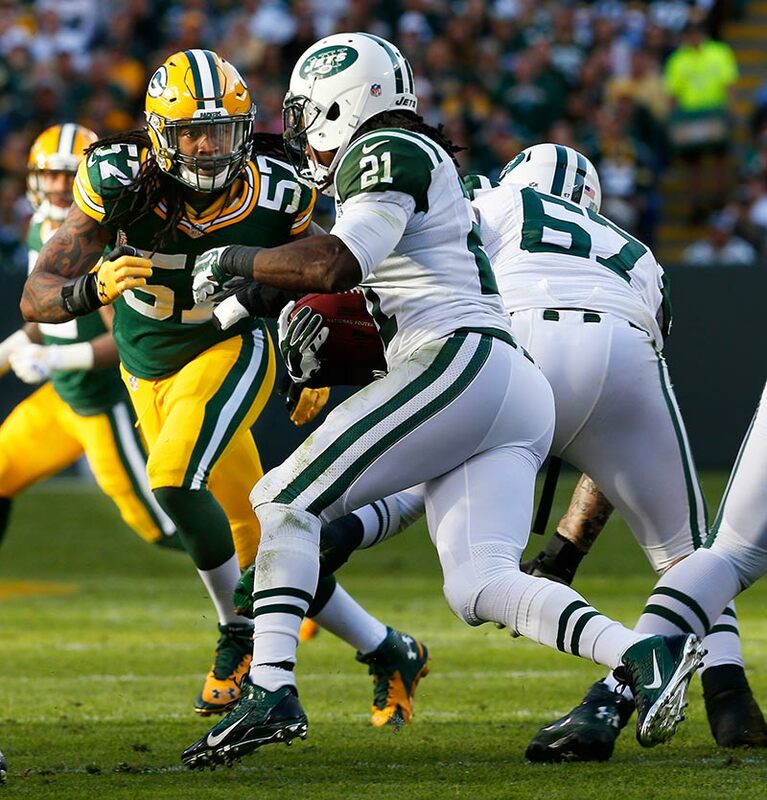 New York Jets running back Chris Johnson tries to get past Green Bay Packers inside linebacker Jamari Lattimore. 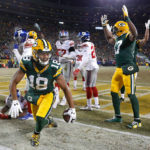 Green Bay Packers wide receiver Randall Cobb celebrates a touchdown with a Lambeau Leap. Green Bay Packers defensive end Datone Jones tries to pull down New York Jets quarterback Geno Smith. Green Bay Packers wide receiver Jordy Nelson gets past New York Jets cornerback Dee Milliner and free safety Calvin Pryor on his way to an 80 yard touchdown. 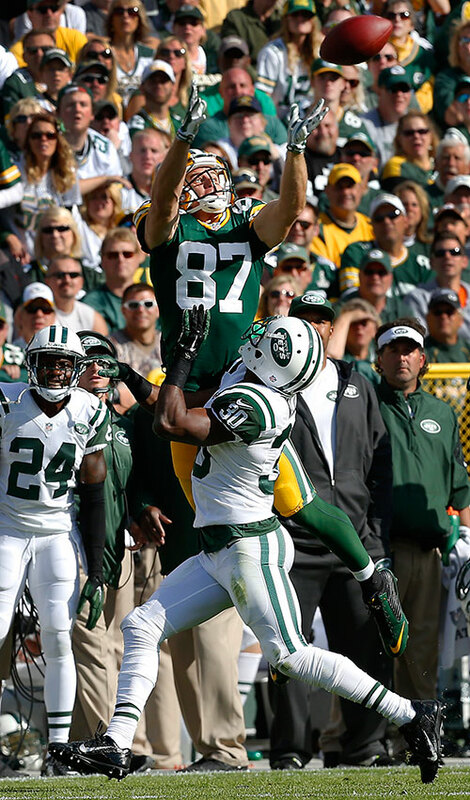 Green Bay Packers wide receiver Jordy Nelson gets takes down by New York Jets strong safety Dawan Landry. Green Bay Packers cornerback Tramon Williams tries to defend a touchdown pass to New York Jets wide receiver Jeremy Kerley. The play was called back due to the Jets calling a timeout before ball was snapped. Jets fans react with disbelief after a touchdown pass that would have tied the game was called back. Green Bay Packers strong safety Morgan Burnett and cornerback Sam Shields break up a pass intended for New York Jets wide receiver Jeremy Kerley. 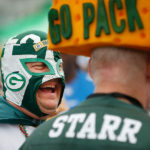 Green Bay Packers running back DuJuan Harris shakes hands with fans as he walks off the field after the Packers win.